Getting out in nature is a wonderful way for kids to learn! 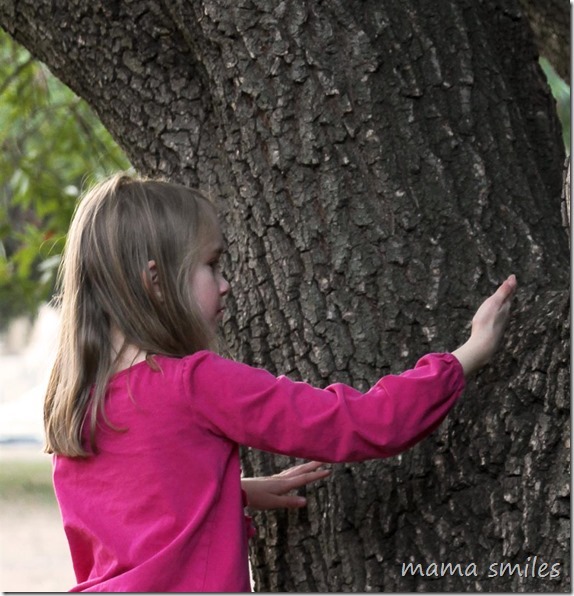 Today I am sharing great ways you can get your kids learning while you spend time outdoors. 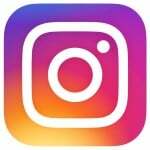 Each of the photos below links to a post about kids learning through nature! 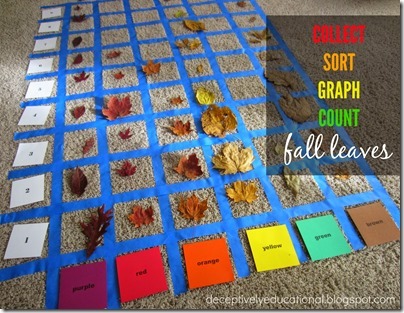 Collect, sort, graph, and count leaves. 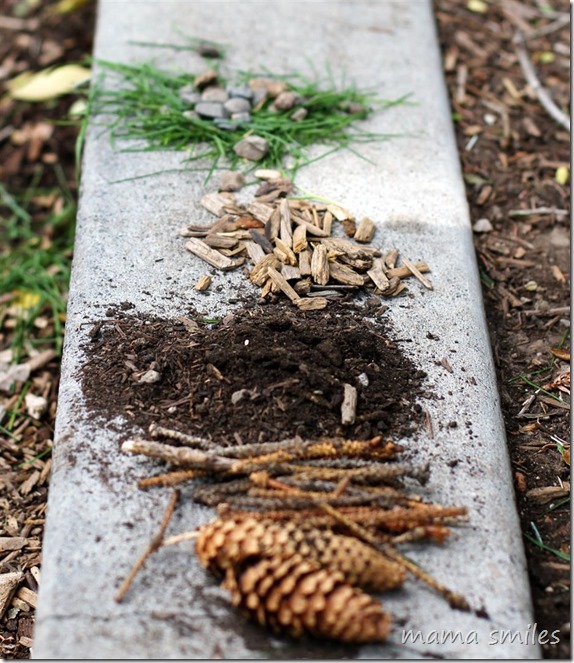 Deceptively Educational did this with fall leaves, but it works all year round! 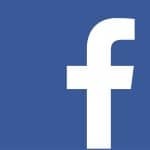 This same site has a wonderful leaf bingo game! 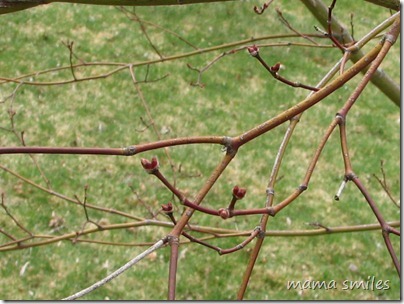 With Spring coming, why not make a nature study of new leaves emerging – we did this one year with our Japanese Maple Tree! 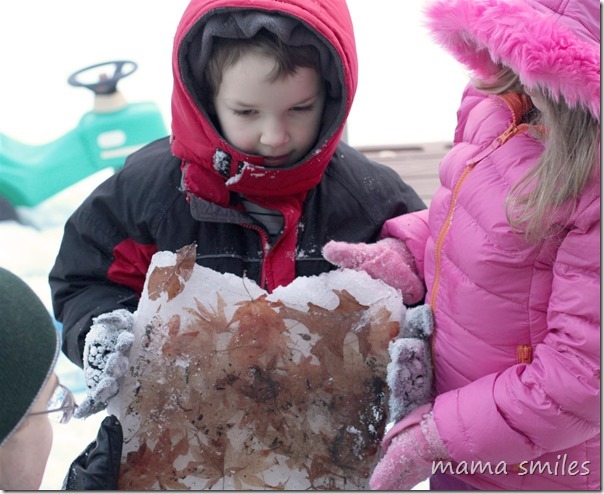 Did you know that nature is a great place to teach your kids math? 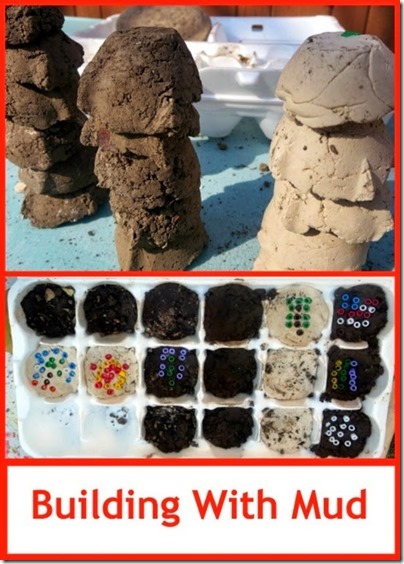 From sorting to measuring to more physical math activities, this post will keep your kids happily learning! There is a lot for kids to see and do outside, and by handing them a camera you get to see their point of view while creating lots of conversation starters! I love seeing the world through my child’s perspective. 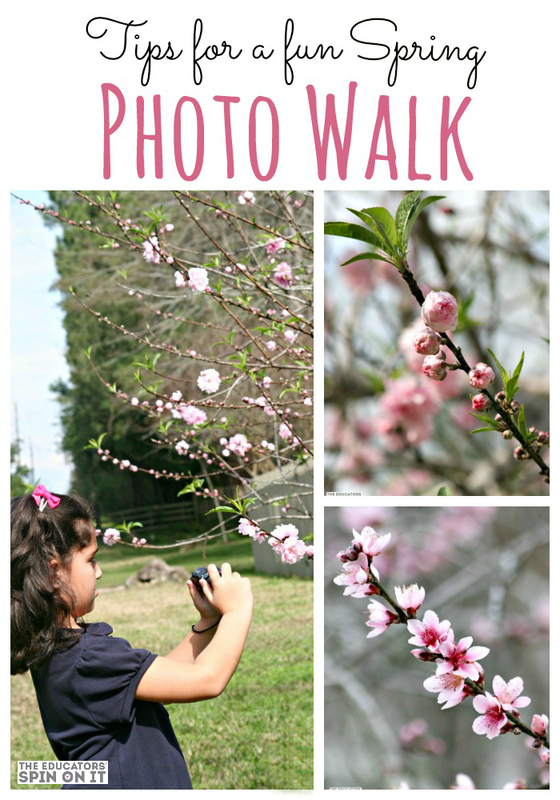 The Educators’ Spin On It has great tips for taking a fun photo walk with your kids. Nature can also be a great source of crafting inspiration! My kids enjoy gathering a box full of materials to create with at home. In warmer weather, painting with water is an equally engaging – and low mess – activity for kids. There is less nature in urban environments, but there are still plenty of opportunities for kids to explore and learn! Nature is also a wonderful place for kids to experience quiet, and to learn to live in the moment. How do you spend time in nature with your children? That is COLD!!! I hope you get warmer weather soon! Oh wow I hadn’t thought how awesome icicles would make as a “writing” tool, cool! I love taking my kids outdoors. Even the fresh air can be so mood-changing. Getting outside makes a HUGE difference! Looking forward to having our backyard a bit less barren and a bit more full of nature! 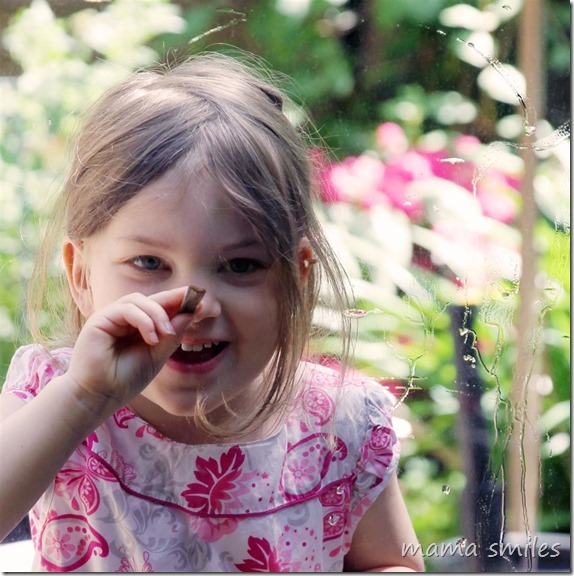 ]Lily painting on the glass is so adorable… need to get my kids doing that sometime soon. 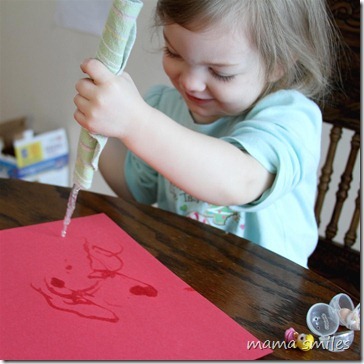 Painting with water is a great outdoor activity that I think your kids would love! I look forward to seeing your backyard transformation. With the snow, we notice a lot of animal visitors in our backyard by their foot prints in the snow. I should post about that one too. That’s a great snowy learning opportunity! We love spending as much time out in nature as we can. 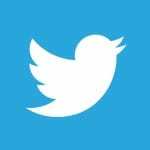 Thanks for all the fun nature activities ideas! Getting out in nature is the best way to learn! Nature feels a bit more like the enemy right now as I sit here sniffling with allergies and spent much of the weekend cooped up with a headache because of said allergies and pressure changes. Sigh, stupid allergies. I’m sorry! Allergies are tough. We had our first snow of the year yesterday! With the other two families that were willing to brave the park after school with us, the boys enjoyed an hour of snow ball fighting! Hooray! Snow makes cold weather a lot more fun, for kids at least! Love the idea of painting with icicles! Great collection!!! Thanks, Ann! Painting with icicles was one of our favorite winter activities when we lived in Massachusetts. 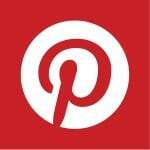 I love these ideas especially the photo walk! My kids would love that and it’s so easy to do (and yet we have yet done this!!!). Maybe we can both do it with our kids this week! Is Boston warm enough?